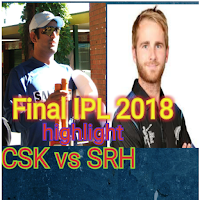 IPL 2018 Final Chennai Superkings vs Sunriser Hyderabad has been played in Wankhede Stadium Mumbai. MS Dhoni won the toss and opt to bowl first. SRH scored 178/6 in 20 overs. CSK got winning target by losing only 2 wickets. Shane Watson played an inning of 117. 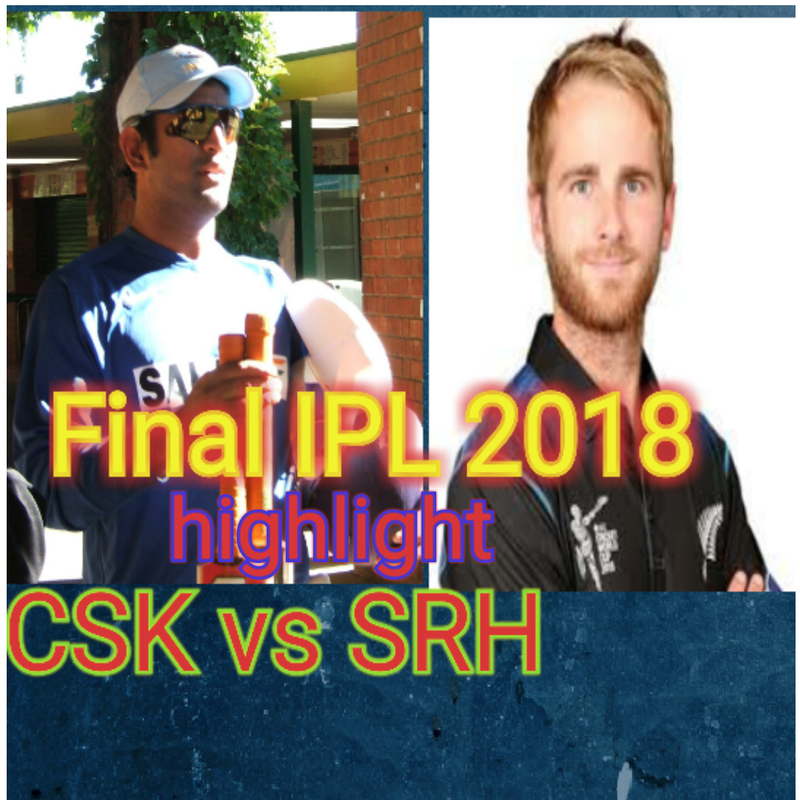 CSK won final of IPL 2018 against SRH by 8 wickets. CSK won IPL Final 3rd times. Shikhar Dhawan 26, Kene Williamson 47, Yusuf Pathan 45, Shakib Al Hasan 23 and Carlos Brathwaite scored 21 runs. Lungi Ngidi, Karan Sharma, Bravo, Shardul Thakur, Deepak Chahar and Ravindra Jadeja all bowlers got 1-1 wicket. SRH scored 178/6 in 20 overs. Shane Watson played great blasting and match win inning of 117 not-out in which he faced only 57 delivery and smashed 11 4s and 8 6s. Ambati Raydu remained not-out at 16. Faf du Plessis 10 and Suresh Raina scored 32 runs. Sandeep Sharma got the wicket of Faf du Plessis and Carlos Brathwaite got Raina's wicket. CSK scored 181/2 in 18.3 overs and won IPL 2018 Final Chennai Superkings vs Sunriser Hyderabad by 8 wickets. CSK have won IPL Final 3rd times. Before this, in 2010 and 2011 CSK was the winner of IPL Final. Dhoni me abhi bhi wo dam hai jo kisi bhi team ka dam nikal sakta hai.